We are a leading Manufacturer of plastic zipper from Meerut, India. 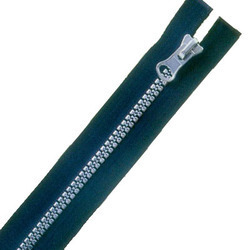 Counted as first among the best, we offer the superior quality of Plastic Zipper. Used in garment industry, it is designed in accordance to latest market trends. Owing to their design and appearance, these products are highly demanded in the market. To meet the precise needs of our customers, we offer these products in various colors, sizes and designs.